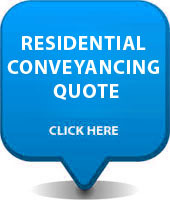 Fixed fee conveyancing is an option that we offer. We agree to fix the price that we charge you for the conveyancing process and we do not charge any more than this save if your transaction becomes unexpectedly complicated (this is rare but it does happen on occasion). This does not mean that you will be lumbered with a list of unexpected costs on your completion statement at the end of the transaction. As soon as we become aware of any complications and potential additional fees we shall inform you and try to give you a further fixed fee for this extra work rather than charge you at an hourly rate. Not only do we operate in this manner as it is moral and equitable to do so but we always act in strict accordance with the rules that are laid down by the Solicitors’ Regulation Authority which advises that fees should be dealt with in such a manner. The advantage of fixed fee conveyancing is that you have the peace of mind of knowing that your legal costs cannot exceed the amount that we agree with you at the outset. Our fixed fee service is of a high quality which we always guarantee. We don’t use unqualified “case handlers”; your file will be managed and dealt with by a fully qualified solicitor. We answer our telephones and deal with your queries in a timely manner as we have direct lines and direct e-mail addresses. We don’t expect you to use slow websites for meaningless generic updates, our friendly team will email, telephone or text you to keep you informed. We don’t ignore your file for months just because you are paying a fixed fee. We will do everything thing that we can to ensure that you move home quickly and stress free. We do not use unqualified “case handlers”; your file will always be managed and dealt with by a fully qualified solicitor. We will answer our telephones and deal with your queries in a timely manner as we have direct lines and direct e-mail addresses. If you would like to obtain legal advice and information on our fixed fee conveyancing service, please click the “Request a quote button”to send us your details via our web form, you can also call us on 0207 183 0084. 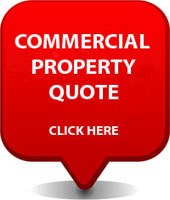 We are based in London Bridge, Southwark, London however we deal with conveyancing and property work for clients, solicitors and lenders nationwide. We don’t believe in hiding things in small print. We will always consult with you first, but in practice there are situations where we might have to charge more than the agreed fixed price; for example, if there are problems with your title when you are selling a property, or other associated problems. Also if the nature of the transaction changes, for instance if we are dealing with a freehold and you ask us to create a new lease, then we will revise our fee. We will always be open and clear and even if your matter turns out to be complex, we will ensure that you are aware of the full costs. We list our prices for dealing with different types of complications when we first write to you however we will use our best endeavours to bring it to your attention/remind you as early as possible in the transaction so that you know what to expect. How will EPC changes affect landlords from April 2018? We are on the legal mortgage panel for the Bank of Ireland (The Post Office), Virgin Money, Santander, Barclays (the Woolwich), Nationwide (The Mortgage Works), Yorkshire Building Society, Accord Mortgages, Platform Home Loans, Britannia, Co-Operative, Chelsea Building Society, Leeds Building Society, Metro Bank plc, Help to Buy (Homes and Communities Agency), Kensington, Clydesdale and most bridging lenders. Independent legal advice for a personal guarantee (Deed of Guarantee and Indemnity), a mortgage guarantor, HSBC, Santander and Barclays indirect mortgages (joint borrower sole proprietor mortgage), settlement agreements, compromise agreements, Deeds of Consent and ID1, ID2 and ID verification.